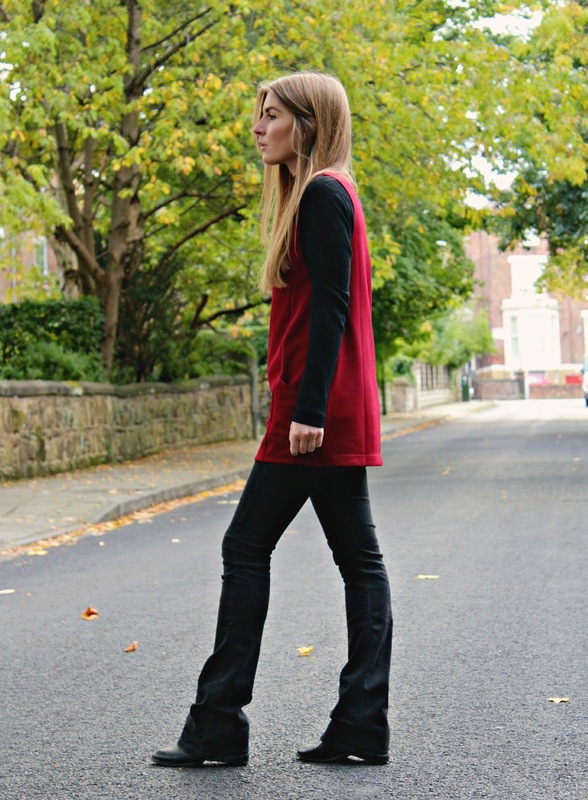 Layering is quite possibly my favourite way to put outfits together, especially at this time of year when we could all do with a bit of extra warmth. 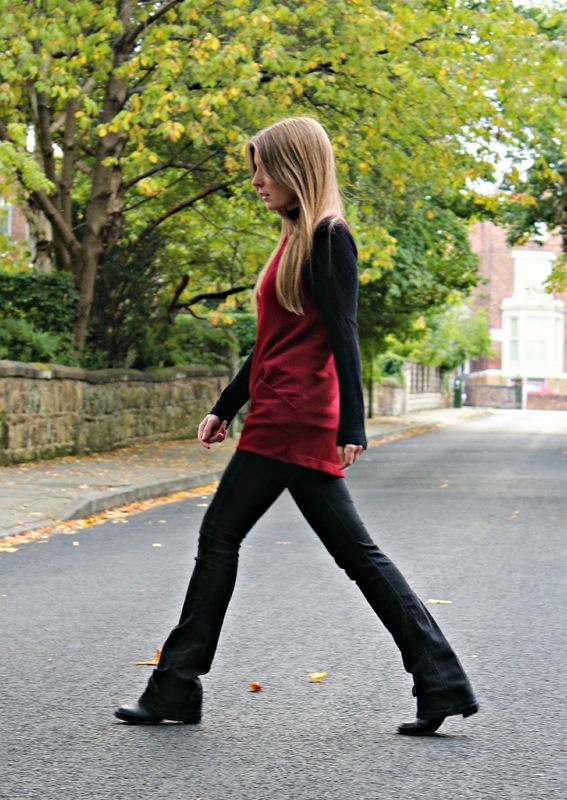 These flares are from last winter but they're still relevant now; leg lengthening and easy to wear, they make a great alternative to skinny jeans. 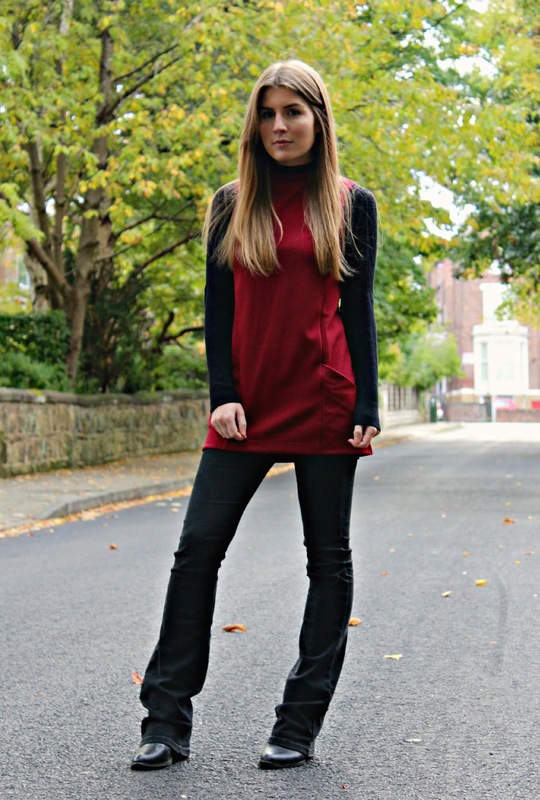 This season I'm updating them with a roll neck jumper layered underneath this slim fitting burgundy tunic.